Dalek I Love You: Doctor Who 50th Anniversary Edition by Nick Griffiths is Griffiths’ memoir of his life, loves and his continuing love affair with Doctor Who. I Never Expected This Good Life by Jennifer Futernick is a raw memoir of life, love and family told through poems and short stories. 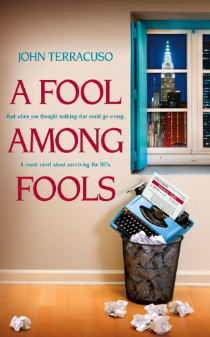 In A Fool Among Fools by John Terracuso, it’s the mid-1980s in New York and Michael Gregoretti is a junior copywriter at an ad agency working on a campaign for aerosol butter. He hates his boss and is taking stock as he closes in on his thirtieth birthday. With good friends to keep him sane and a new relationship with a dashing southern gentleman married to his work for excitement, can Michael make life in the big city work or is it time to focus on his own creative ambitions? 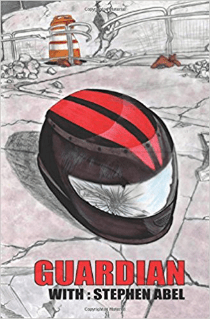 Guardian by Stephen Abel is an autobiography of a reluctant superhero named the Guardian which follows him through early life and the evolution of his identity. In Tomato Stakes by Melanie Jo Moore, Melanie is in love with Julio, the foreman of a tomato-picking crew and a man she’s only seen from afar. They’ll get married; she’ll stop working and write full time and life will be happily ever after. Does it come as any surprise when Julio doesn’t quite live up to Melanie’s expectations? Join Melanie in the most ridiculous relationship of her life in Tomato Stakes. Blazoned across the headlines of page 345 of our local paper (that may be an exaggeration) this weekend was the headline “Richards Apologizes to Fellow Rolling Stone, Jagger.” The apology was for comments that Richards made in his 2010 Memoir “Life” about Jagger. As a reader, I kind of saw Richards looking at Jagger as the “Man” in a sense. The person making all of the decisions and pulling all the puppet strings but, in reading, you wouldn’t want those strings in Keith Richard’s hands. Keith Richards at that time (and maybe still) was a hot mess. The sense was of rebellion against authority but when you’re the bad boy band that’s probably not the image Jagger wanted of himself out in the media no matter how true. According to the media, the band’s rift over those comments was of such seriousness that their 50th Anniversary Tour was in jeopardy. Or was it? It’s a good money making opportunity, would they have just gone on with it. At the end of the day, Jagger accepts the apology and life moves on for this band. The last sentence in the article cites a groundbreaking upcoming documentary about the group to be released in September. Will we see some of this rift play out? Let me know because I’m opting out of this one.